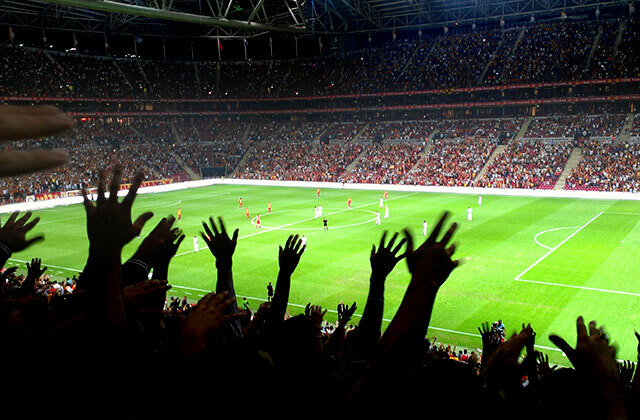 The 2009/10 Premier League season is now in full swing, with its first round of evening matches, which always produce a good atmosphere, being played this mid-week. Though only twelve of the league’s twenty sides were playing, their matches were by no means short on action, with goals and shocks aplenty. A significant proportion of those goals were scored by Liverpool, as Rafael Benitez’s side bounced back from an opening day defeat at Tottenham to secure an easy victory over Stoke at Anfield. Goals from Fernando Torres, Glen Johnson, Dirk Kuyt and David N’gog sealed a classy 4-0 victory, and proved that the Reds are more than capable of challenging for the title once again. A side with similar aspirations, Chelsea, were one of four clubs to play on Tuesday night, as they went to Sunderland, with both sides in search of a second straight win. Darren Bent hit his second of the season to give the Black Cats a first half lead, but Carlo Ancelotti’s men hit back hard in the second period, Michael Ballack, Frank Lampard and Deco finding the net to cap one of the most dominant 45 minute performances you’ll see this season with a 3-1 triumph and three points in the bag. Also on Tuesday, newly promoted Wolves made the trip to Wigan, hoping to record a first ever away victory in the Premier League, the Black Country outfit having failed to taste success at all away from Molineux in their one previous top flight season since the rebranding of the league. Their fans would not go home disappointed, as Andy Keogh’s header six minutes in proved to be enough, Wigan unable to break through the brave Wolves rearguard and the visitors holding on to seal an unlikely win. A day later, an even more unlikely result was brewing at Turf Moor, as Robbie Blake’s ferocious volley put new boys Burnley a goal to the good against Manchester United. Brian Jensen saved a Michael Carrick penalty as the champions were frustrated, with the Clarets ultimately able to record a famous victory, on what must be one of greatest nights in the long proud history of Burnley Football Club. The other newly promoted club, Birmingham, also got their season up and running, James McFadden’s last gasp penalty enough to secure a 1-0 victory over Portsmouth and complete an unlikely trio of wins for the Premier League’s newest members. Pompey have lost each of their opening two fixtures, a feat matched only by Hull, who, having come so close to gaining a point at Chelsea on the opening day, performed rather less heroically at home to Tottenham. Stephen Hunt’s second goal of the season was the only bright point for the hosts, as Jermain Defoe notched a magnificent hat-trick, with Wilson Palacios scoring his first goal in English football and Robbie Keane heading home to complete the scoring in a 5-1 rout.